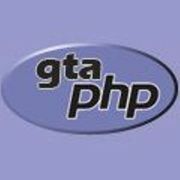 Discuss GTA PHP User Group! Pretty self explanatory. If you are looking for work or if you are looking to hire someone post here. This is the companion discussion forum for our Learn PHP program. Participants should post any questions about the material or the program here. This is the forum for the MySQL Marinate - Virtual Self Study Group. Participants are encouraged to post questions, discussions and code here. This is a forum where people can discuss the annual True North PHP conference.